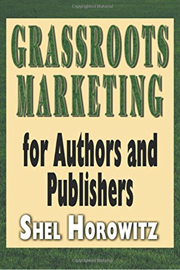 A thorough and readable guide to book marketing for authors who publish traditionally, who self-publish, or who use a subsidy publisher (sometimes incorrectly called a "self-publishing company"). Also great for small to medium-sized publishers of other authors. This book covers not only bookstore marketing but many other areas that may be more profitable. Two complete, full-length marketing plans actually prepared for paying customers. 17 pages of resources & much more!